Vienna is the federal capital and largest city of Austria with a population of about 1.9 million and is the country’s cultural, economic, and political center. Vienna is regularly ranked as one of the, sometimes the, world’s most liveable city and is a great travel and business destination. In charge of making the city run as good as it does for its citizens is the City of Vienna administration, which has over 30,000 employees, making it one of Austria’s largest employers. 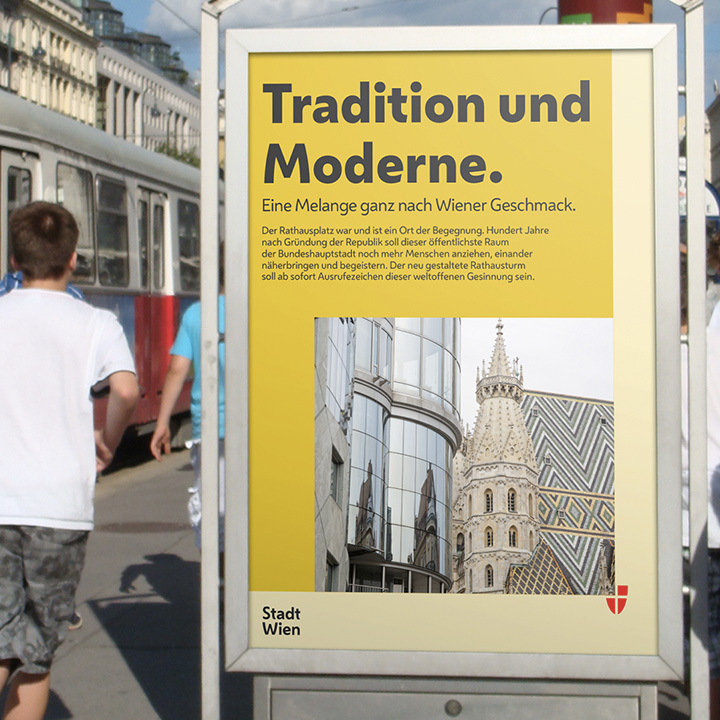 Recently, the City of Vienna introduced a new identity designed by Saffron. 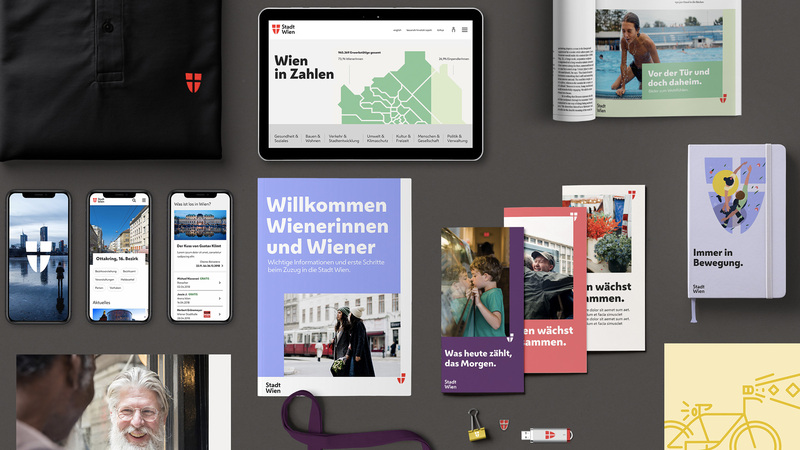 The city of Vienna set Saffron the challenge of developing a brand strategy that could better serve residents, city employees, businesses and students. With over 70 departments, the city’s positioning and communications had become complicated by myriad sub-brands that obscured the role of the city government and created inefficiencies for staff. The new brand should reinforce Vienna’s modernity, being ranked No.1 smart city worldwide, ahead of Chicago and Singapore by Roland Berger consulting. Further it should unite civil servants around a shared vision of the city’s role and common ambitions for future development. Most of all, the new brand was to make it easier for citizens to identify and access city services. 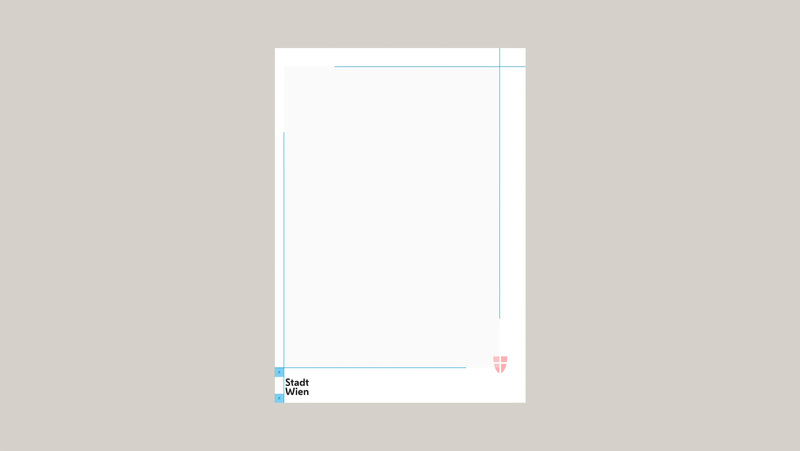 A new brand architecture was needed to represent the municipality’s organisational units with clarity. Saffron’s strategy and design teams devised a monolithic model that significantly reduces the current strategic and visual noise. Replacing internal numbering of departments, a focus is placed on simplified names for each department, endorsed by the City of Vienna logotype. The streamlined architecture establishes a single citizen-facing brand, whose promise is kept daily by Vienna’s 70-plus departments. This allows a more effective and efficient mode of operation, service delivery and communications. Logo in German and English. The old logo looked like the most polite ransom note and while it conveyed… diversity, I guess, it was a mess, with different fonts in different weights and styles not working together in the least. Add to that 70 other logos and there is no way anyone can know that one entity is properly in charge of everything. The new logo is far more in tune with the expectations of a city government identity. The shield, which comes from Vienna’s coat of arms, is brought to the forefront and its existing simplicity works perfectly well as the city’s icon. The wordmark is distinctive but I can’t say that I like it. The “t”s are very off-putting to me but I may be alone in that sentiment. It’s not a geometric sans or a bold spiky serif, so it’s at least out of the ordinary. Sub-brands look good; hard to argue with a decent system. A range of lively interpretations of the coat of arms were illustrated to provide the municipality with a communication tool. They express the brand idea of the people at the heart of everything, using the shield as a frame to shed light on the people of Vienna, allowing the shield to reflect the personality of the city and her residents. The icon can be illustrated in different ways for different events and this has plenty of potential to bring in varied styles to the icon… I can imagine a graffiti version of some kind or some 1980s-tastic rendition. Custom type family designed in collaboration with Dalton Maag. The custom type is interesting — an acquired taste. I want to like it more than I do but there is something odd about it. Like the “g” and “a” have too much going on; the angle of the “e”; the stem-less “u”… it’s an odd combination of things. Interestingly, the “t” is different from the logo, so I like that. Tightly coordinated with the brand idea, the elements of the visual identity reflect the personality of the city through iconography, typography and imagery. It respects the efficiency of the government, whilst embodying the colour and human centricity of the place and its residents. In collaboration with specialist type foundry Dalton Maag, we commissioned a bespoke typeface, the Wiener Melange. Inspired by the curves of the emblematic shield and named for Vienna’s famous coffee, the typeface draws on cultural assets of the city, from the lettering of the Secession to the characters found on historic inns.